Pray for Judy Mbugua and the Homecare Spiritual Fellowship as they reach out to widows like Joan, a mother of four, with basic medical care and the hope of a job. The number needing their help is vast. Pray for wisdom, discernment, and resources as they respond, and for Judy as she gives leadership to HSF. Nick and Amanda are going to Colorado for training during the month of August. They plan to depart for the Middle East in December in order to be ready to start language school in January when the girls start preschool. Pray for them as they travel, transition, and adjust to a new culture and language. Jeff and Lynne welcomed a second Korean lady to their team. Pray for her English to improve, for cultural adaptation, and for opportunities to meet locals. Pray for the Lord to work in the heart of their helper Lela, who now sits in on family worship. Pray the birthday celebrations that Lynne and Austia started will give opportunities to share the gospel. Pray that the time Randy spent with Mat and his buddies opened their eyes and hearts to Jesus and their need for Him. Pray for Randy and Martha as they give leadership to their team, meeting and praying with them, and for good team unity. Praise for the safe arrival of Davy and Pey’s son Soren Theodore. Thankfully this gave them the opportunity to pray with their small group and opened the door for a new believer. Pray for the core team starting a new church plant to have wisdom, strength and energy for the task ahead. Herb and Heather moved into an apartment that is very close to a house of prayer which calls prayers at 4:00am. Pray they will be able to rest and that this apartment will give them opportunities to witness. Pray for Heather as she helps their daughter Honor to settle into college in Ohio to study nursing. Pray for the staff at Annoor as they deal with very sick people and many refugees. It was a delight for Joe and Austia to have two college friends as language tutors during their break. This opened the door for Joe to have spiritual conversations with Azrul. Pray his openness to God’s Word will continue and take root, even when he returns to college, and that God will bring more opportunities for Joe to share the Good News with other neighbors. The Youngs give praise that the MEDIC program continues to grow with second, bigger loans to women who completed their first repayments on time. Pray this will open doors for spiritual and financial growth. Pray for ways the Youngs can serve in the Sultanganj community; such as helping restart a school in the community. Paul and Violette Bridgman give praise that their church recently celebrated its 25th anniversary. Pray for more small groups, for the English class students to come to a saving faith, and for believers struggling with physical and emotional health issues to be encouraged in their faith. 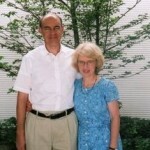 Also, pray that Paul & Violette will be able to visit their elderly parents in the US. Pray for Ruslan and Zhanna, and the team from 2PC as they run an English Club July 21-25 and Young Life Camp July 28-Aug 2 in Kazakhstan. Pray for new kids to be engaged and touched by the gospel.